The call has gone out throughout Dream Land - the First Annual Ghost Trap Competition has begun! 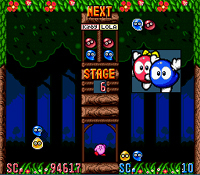 In this fast-paced puzzler it's up to you to battle Kirby's adversaries by strategically stacking colour-coded Blobs and blending them together to form massive chain reactions. Each colossal explosion you create will cause a bombardment of Ghosts to rain down upon your opponent. 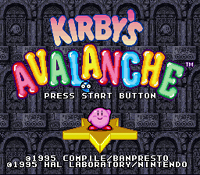 Through 16 levels of furious action you'll face famous enemies from the Kirby universe as you make your way towards a landslide victory!